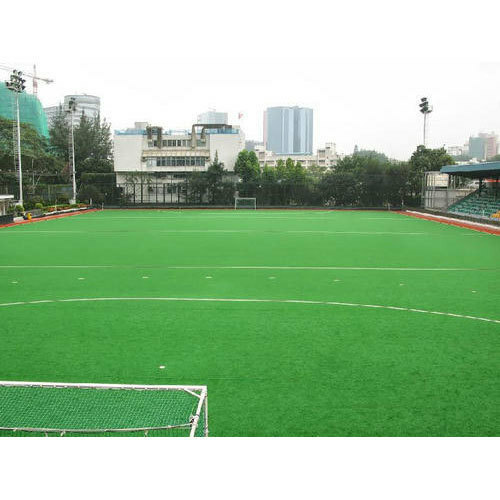 Matching up with the requirements of our clients, we are involved in offering Hockey Ground Flooring. Poonam Enterprises came into existence in the year 2013 and carved a niche in the industry as the pioneering manufacturer of optimum quality products. As a sole proprietorship based entity, we are headquartered at Sanath Nagar, Hyderabad, Telangana and from there we are managing all our business operations in a remarkable manner. Quality is the feature of our industry and to maintain unique quality standards we are immersed in offering a varied collection of Interlocking Sports Tile. We have paid close concentration to its customer's requirements and to expand its products to cater their requirements. As an outcome, we have gained the faith of our esteemed clientele. We are rendering Synthetic Sports Flooring, Wooden Sports Flooring, PU Sports Flooring and many more.